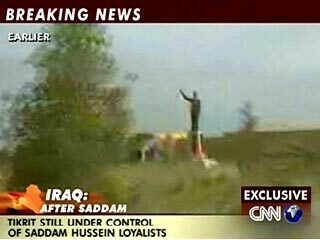 Tokyo(ASN-News), 17:25, 13 April 2003. The US command has officially confirmed that the US troops have entered Tikrit, the home town of Saddam Hussein, the Japanese news agency Kyodo Tsushin reports. The report says that the Iraqi army did not put up any resistance. Tikrit is the only large Iraqi town, which has not yet been placed under the control of the occupation forces.